Xieng Khuan or Buddha Park. 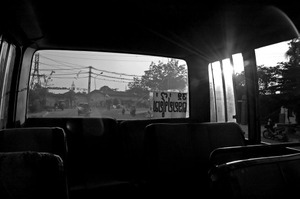 Just outside Vientiane. Designed and built in 1958 by Luang Pu. 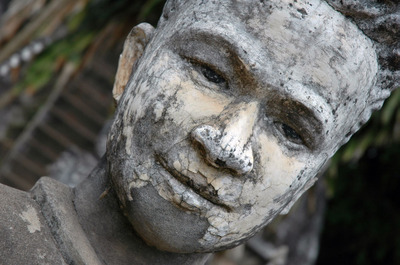 Its a park full of Buddhist and Hindu sculpture that is a monument to one eccentric man's quite bizarre ambition. Admission 5000 Kip per person and 2000 Kip for your camera! I am working on a new project. 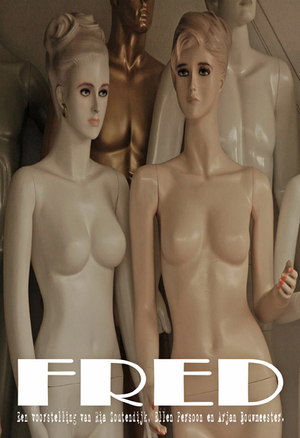 Designing the flyer for FRED. A Dutch role play by Ria Zoutendijk, Ellen Persoon and Arjan Bouwmeester. Which one you like best? Yesterday evening in Vientiane. 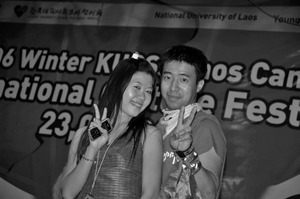 Organized by The Korean University Council for Social Service and National University of Laos. Peace! From the 2006 Winter KUCSS Laos Camp, International Culture Festival. 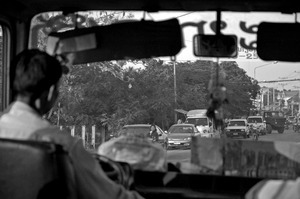 Driving around Vientiane. Late afternoon in December. The 032 or the 045. Try it. It is just 2000 Kips! "Arriving in Thailand is always a relief. The taxis smell of flowers. The people are gracious. Hedonism comes without guilt. So what if people want your money. And if the city is a little crass...here the king plays jazz"
Ian Buruma, God's Dust: A Modern Asian Journey (1989).